Want to know where to celebrate Chinese New Year this year? Here are some top events in some of my favorite cities. 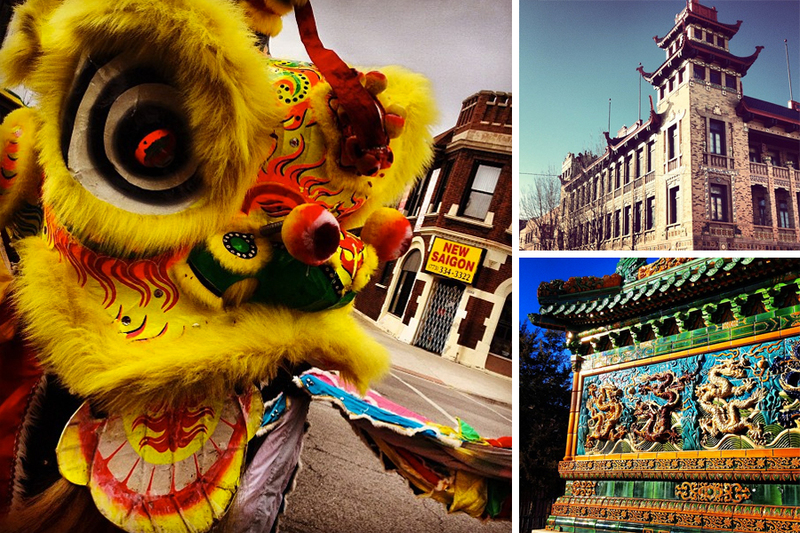 Chinatown in Chicago will be celebrating the Lunar New Year Parade – Year of the Horse, on February 2nd from 1:00 p.m. – 3:00 p.m.
Insider Note: Chinatown is located on Chicago’s South Side between Cermak and Wentworth Avenues. Get there early to get a good spot. If you’re driving, parking might be difficult and hard to get — I would suggest taking the “L” red line train to the Chinatown stop. Argyle Street Chinese New Year Parade will be on February 1st located in Chicago’s North Side neighborhood Uptown and will be from Argyle to Sheridan, Sheridan to Lawrence to Broadway and back to Argyle starting at 1 p.m.
After the parade, traditional Chinese cuisine is offered at many Chinatown restaurants, but if you’re looking for something more formal here are two options you might like. Head to the Phoenix for a special “2014 Lunar New Year Celebration Dinner “. Dinner tickets are $75 each or a table of ten for $750. Dress code: Something Chinese inspired or something red. When: Tuesday February 11 | 6-9 p.m. 2131 S. Archer Ave. Chicago. To buy tickets or for more information, email info@chicagochinatown.org. Kick off the Chinese New Year at the main entrance of the Peninsula Hotel with the traditional lion dance on January 31st at 2:30 p.m. Follow the parade of dancers through the hotel to the main lobby, making your way up to the 5h floor just in time for afternoon tea at 2:45 p.m. Kids are invited to feed lettuce to the lion for good luck! Celebrate The New Year at the Shanghai Terrace at The Peninsuala with an eight course dinner. Guests will enjoy double boiled seafood soup, stuffed crab claws, abalone fried rice, dim sum and sesame balls. Cost per person is $128 from January 27th to Sunday, February 2nd. Reservations can be made via email diningPCH@peninsula.com or 312-573-6695. Or you could join Redmoon and Chicago’s finest Chinese Cultural Performers for a fun + festive Chinese New Year party at The Grand Ballroom at Navy Pier (600 E. Grand Avenue) from 6-7:30 p.m. And, get this –it’s free. Not only will you be wowed with Redmoon’s creativity (check out what they did for Halloween), but your entire family can enjoy interacting with the artists –there will be lantern parades, rickshaw rides, and large spectacle devices. The event will culminate with fireworks. For more information, click here. The San Francisco Chinese New Year parade is one of the biggest parades in the country and might exceed your expectations every year. From 6:00-8:00 p.m., on Saturday, February 15th starting at Second and Market Street. If you’re looking for the best place to see the parade you have two options — standing (it’s recommended to be at your spot by 4:30 p.m.) and the bench that will cost you about $30. You might find other events during the day like the flower market fair, Miss China Town and others. 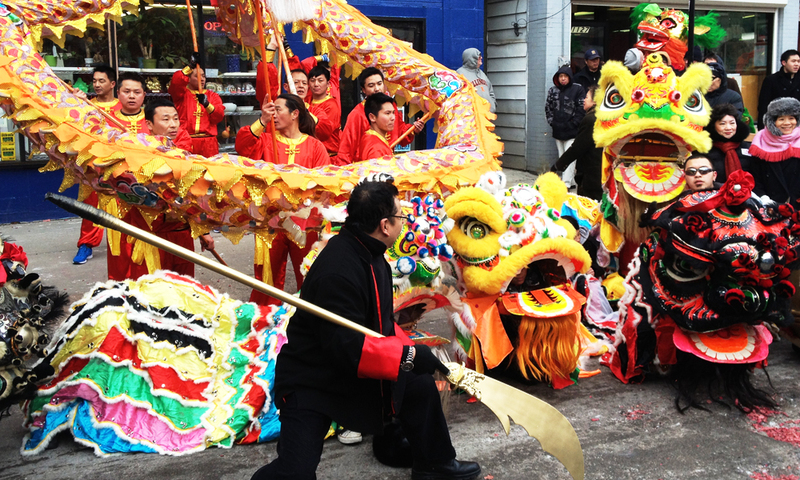 NYC Chinese New Year Parade will kick off on Sunday, February 2nd at 1 p.m. starting in Little Italy and the main streets of Lower Chinatown/Manhattan. The parade will feature elaborate floats, marching bands, lion and dragon dances, and so much more. Firecracker Ceremony & Cultural Festival is on Friday, January 31, 2014 from 11 a.m to 3:30 p.m. in Roosevelt Park (between Grand & Hester Streets) and will feature The firecracker detonation — a tradition to ward off evil spirits. Local politicians and community leaders will be in attendance as guests can enjoy cultural performances by traditional and contemporary Asian American singers and dancers. Enjoy a lion, dragon and unicorn dance troupe marching through the crowds in NYC’s Chinatown.For more information, click here. Next articleThe Amazing Race 2014 All-Stars Meet the Cast!